What it takes to be a knitter – Thanks to Dave of Chub Creek – New Knitting Podcasters! Secret Knitting and Fibercast – A Knitter’s Manifesto – Knitters WILL have our own catagory in iTunes someday. Then we’ll take over the world. – Brenda uses the F-word (once) and whinges about not having her own herd of alpacas. Life’s not fair, but at least it’s stopped snowing. 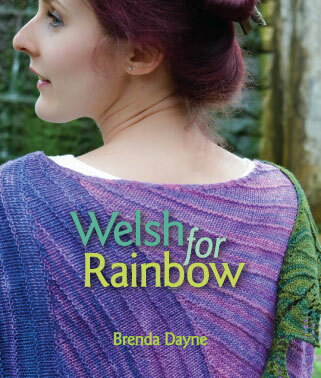 Hi Brenda… Have knit my whole life and just now discovered your podcasts and I can’t believe I’ve been existing without until now. I very much enjoy your broadcasts and can’t wait to catch up with them all. Today decided to start from beginning and just finished listening to #2 with the knitting manifesto. I teach knitting, crochet and fiber sculpture and would love to share this with my students. Some of them are not comfortable with computers or ipods etc and I was wondering if this was published anywhere so that I could hand out hard copies. Is this something you’re amenable to? Thanks… off to #3.. can’t wait. Today’s Sweater, which you said doesn’t have a name, is probably the Mao Jacket, shown at http://www.ravelry.com/patterns/library/11-mao-jacket. Looks challenging but very cute. As a new knitter, I have completely fallen in love with your podcast! It’s so encouraging to see where practice and growth will one day take me. I found your podcast with Sixty Six Coupons. Make do and mend is, has, and always will be a theme in my life. I am a thirty-something girl stuck with a 1940s mindset, and I love it. I’m now starting at the beginning of your audio goldmine and loving every minute of it. And for the record, this Republican thought the Bush song was hysterical. 🙂 It’s good to see that you didn’t let negative comments get in your way. A little bit of humor never hurts anyone no matter which side of the fence you are parked. Brenda, as a new self (internet) knitter who is slowly taking the road to technical growth your podcasts are eye opening… I have taken myself back to listen to all your podcast in chronological order.. 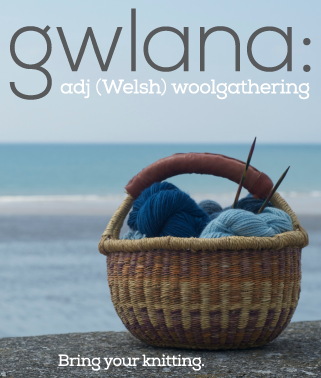 I have embraced my knitting and choose my projects not just for the want to knit but the huge want to improve my technical skills, so each projects involves a new technical challenge.. Listening to your podcast allows me to immerse myself in my newly chosen craft.. so to you a simple thank you. I just discovered your website & podcast. I am starting from the earliest ones and listening my way through. I’m 54 and a year ago taught myself to knit using books. All I’ve done are kitchen cloths, but I’m trying new patterns and learning new stitches. Listening to you is giving me inspiration to branch out into something besides cotton & squares. BTW, I’m on the politically conservative side and voted for Bush, but I thought the druggie satire was an absolute hoot, even in 2011! I also love that you feature independent musicians. I will be buying some of their music. Blessings to you from Mississippi. . .
Knitters should ABSOLUTELY take over the world!